With Google’s re-branded Pixel lineup ready to be unveiled on October 4, the last batch of leaks were expected to make its way on to the virtual space. Last week we saw a bunch of renders of the Pixel and Pixel XL smartphones from the likes of @onleaks and Android Authority, and no we have what seems like an official listing of the device from UK store Carphone Warehouse. Separately, other renders made their way to the Internet, while Canadian carriers Bell and Telus also leaked official renders of the smartphones in both White and Black colour variants. Carphone Warehouse reveals the Pixel devices in all its glory, along with highlights of major features and specifications. 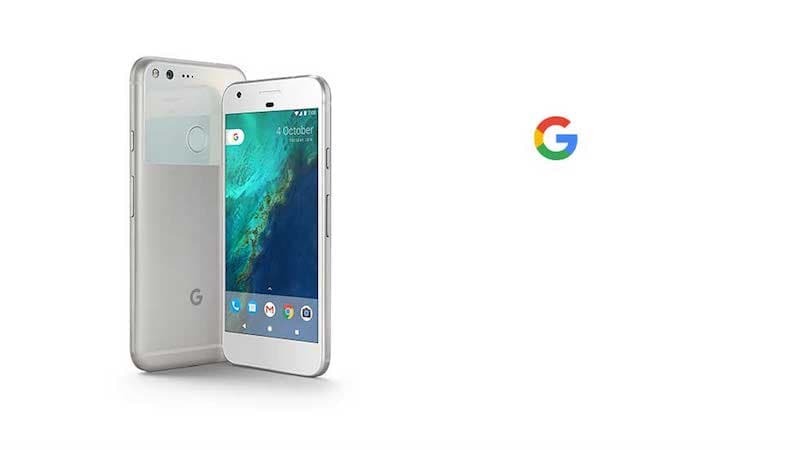 Both the Pixel and Pixel XL renders are shown along with the tagline “Introducing Pixel. Phone by Google” emphasising Google’s self-branded line. The renders are pretty much in line with last week’s leaks. The home screen shows circular icons with a new UI that is exclusive to the Pixels. The navigation buttons are present on screen leaving a fairly large bezel at the bottom of the phone. The images form the site also give us a proper look at all the sides of the Google Pixel and Pixel XL with the power and volume control buttons on the right, a headphone jack on the top and a USB Type-C port on the bottom. There also appears two slits on either sides of the USB Type-C port which is likely to be dual speakers. The back of the device features a camera and flash module with noise cancelling holes next to it on the top left corner, a fingerprint sensor in the middle and the ‘G’ logo at the bottom. The top and bottom of the back will feature a combination of contrasting colours. Moreover, the website also suggests that Google’s latest Allo and Duo applications will come preloaded with the Pixel. Quick charge promises up to 7 hours of battery life in 15 minutes. Another slide reveals that the two devices will offer unlimited storage for photos and videos with Google Photos. The website also lists full specifications for each device, although you should take them with a pinch of salt as of now. The Pixel is said to feature a 5-inch full-HD (1080 x 1920 pixels) Amoled display with a pixel density of 441ppi and Gorilla Glass 4 on top. The device is powered by a quad-core Snapdragon 821 processor with 4GB of RAM and 32GB of inbuilt storage. Meanwhile, the Google Pixel XL is listed with a 5.5-inch Quad HD (1440×2560 pixels) display sporting a pixel density of 534ppi and Gorilla Glass 4 on top. Other than the size and resolution of the display, the rest of the features are similar to the smaller Pixel. Both the devices also feature a 12-megapixel rear camera and 8-megapixel front. The Pixel and Pixel XL will run on Android 7.1 Nougat with Pixel Launcher. On Saturday, some more renders were leaked showing the Pixel smartphone in against a natural background in a variety of colour combinations. Canadian Carrier Bell also revealed renders of the Pixel that provide a clear look of the home screen with the new Pixel Launcher and navigation buttons.